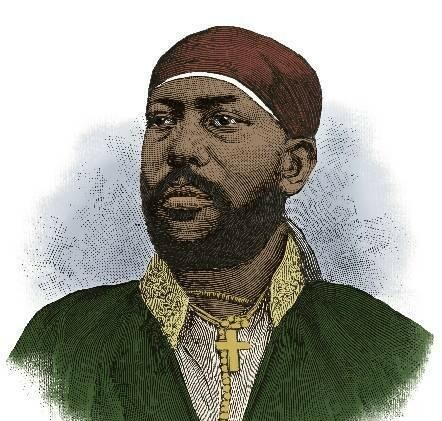 Ras Tafari Renaissance writes to give perspective to the Ethiopian commemoration of the Battle of Adwa. A history changing event that shocked the world to its core. At the time of the Battle of Adwa, the African continent was nearly colonized at every angle. due to to the “Scramble for Africa“. The only two countries that hadn’t been colonized by European countries were Ethiopia & Liberia. 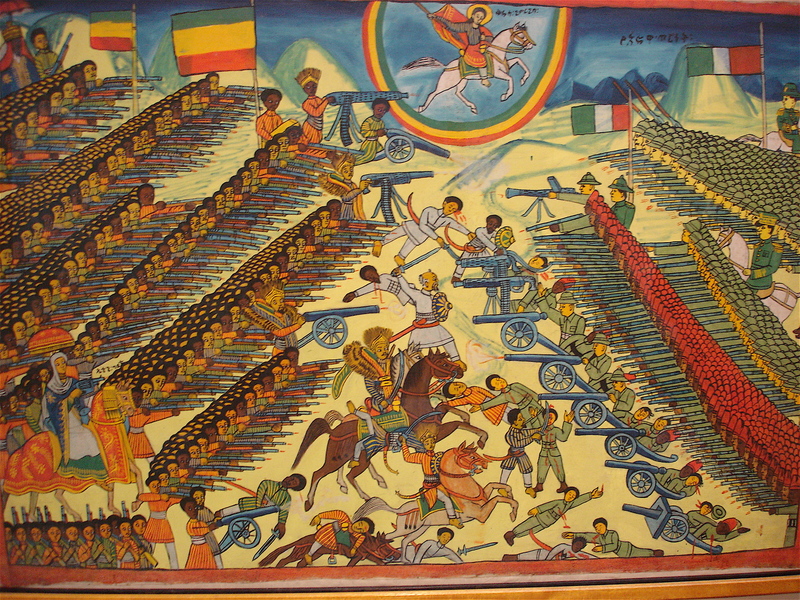 But even with all of this in the forefront, Ethiopia had defended itself well against Italian forces; saving the whole of Africa from total colonization. The valiance of the Ethiopian people, in defense of their country, became a phenomenal example of unity, belief, heritage, & pride. The Ethiopian people; men, women, & children, in some cases, banded together the banner of the Ethiopian flag: red, gold, & green to put aside their differences in ethnic origin, tribe, religion etc., to secure a future that would include all of them, on their own land. 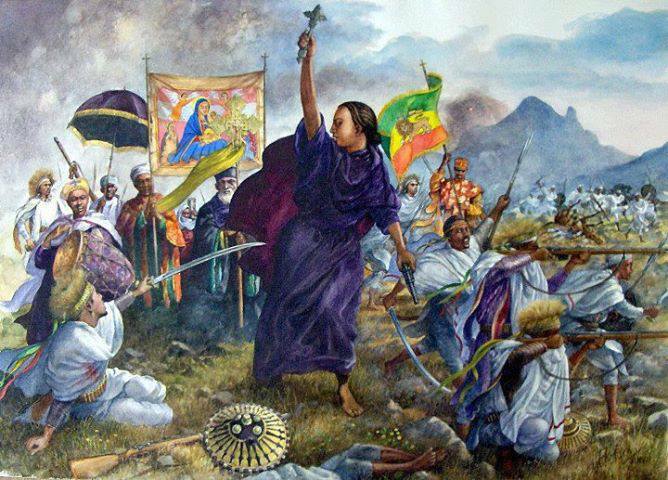 contemporary artwork displaying the courageous acts of Empress Taitu Betul; wife of Emperor Menelik II & Ethiopian Empress.